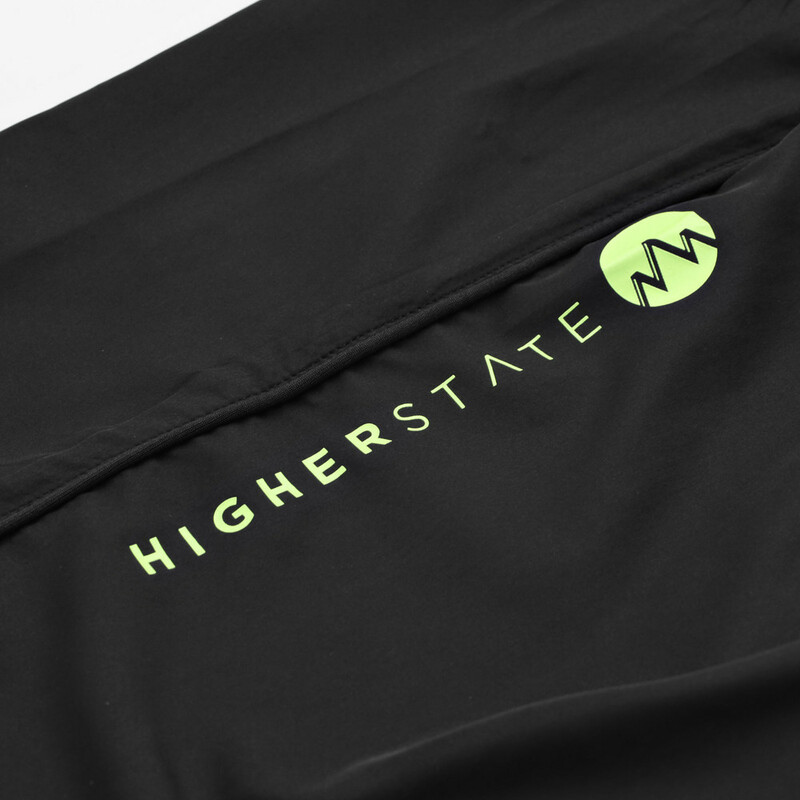 The Higher State 7 Inch Running Shorts are designed by the runner for the runner. Featuring advanced HIGHER-FLOW technology providing ultimate moisture management, anatomically designed performance fit and distinct contrast design. This is Higher State. HIGHER-FLOW technology is engineered using a lightweight technical construction, providing the garment with exceptional breathability and moisture management properties, keeping you cool, dry and focused on what's ahead. The performance fit and the lightweight, eco-friendly construction of the materials used in the tights provide you with optimal movement and comfort in motion, while ensuring you don't feel weighed down. Flat lock stitching on the interior ensures a comfortable fit and safeguards against skin irritation, providing prolonged comfort and confidence. 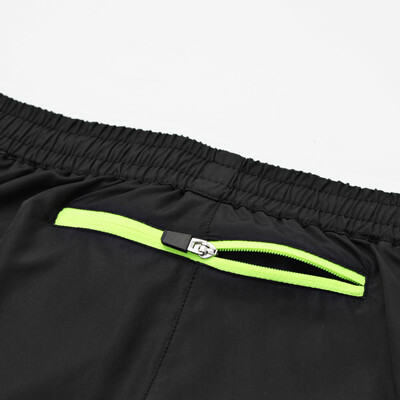 The high visibility elements woven into the design ensure high visibility in low level lighting for increased safety and confidence while running. With the added inclusion of a high UV protection value, the garment actively works to protect you from prolonged exposure in strong sunlight. 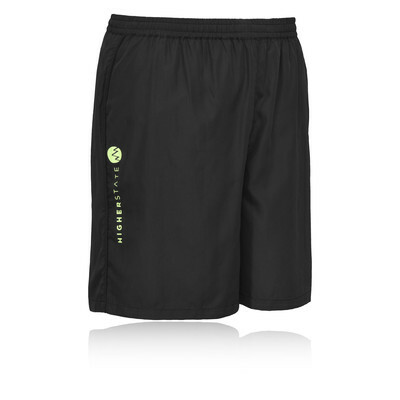 Providing ample space for small valuables, the inclusion of a sleek rear zipped pocket is ideal for securely storing personal media devices and nutritional gels while you train. The stand out contrast design creates a distinct and dynamic look for any number of clothing combinations and styles. Run Hard. Run Long. Run in a Higher State. 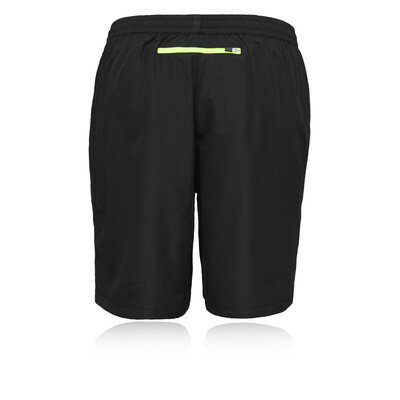 Performance Fit - The anatomical cut of the shorts is designed for optimal movement and comfort in motion. Inner Boxer Brief - Mesh woven for increased breathability and essential support.